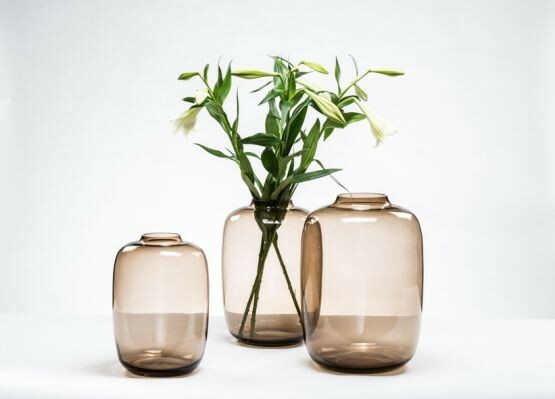 The elegant bulb vase looks nice in a traditional or a modern interior. And even without flowers, this is a stunning design object. You can easily arrange flowers and branches thanks to the narrow opening. 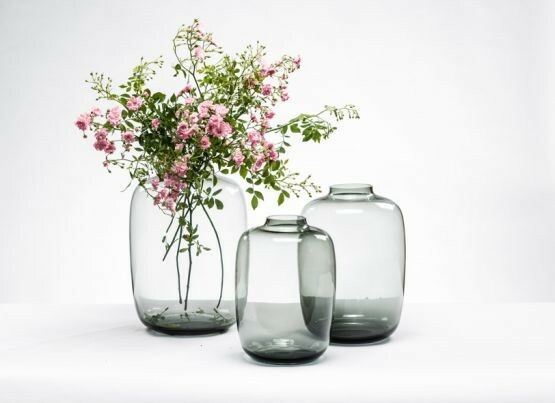 The vase comes in three sizes in a nice smoky grey or mocha. Small: Ø25 x 35 cm. Medium: Ø28.5 x 40 cm. Large: Ø32.5 x 45 cm.